Vancouver commercial waste disposalEthical Waste Services Ltd. 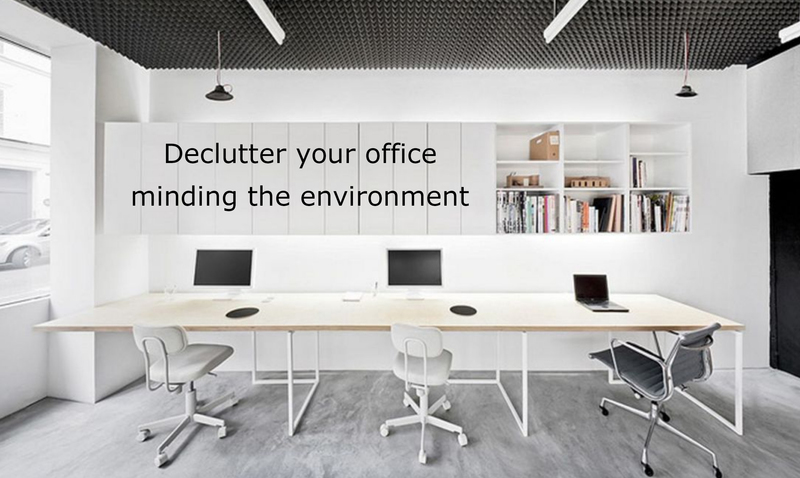 Working in a tidy environment is a healthy and practical habit. We recommend to plan a decluttering session for your home and work space every season. Decluttering is all about making room for things that matter. When it becomes a habit, it’s an easier task to tackle since you might not accumulate unwanted things. Simplifying your surroundings will result in a cleaner and balanced everyday life. Let’s tackle that clutter! 1.- Make a plan: Set a declutter date in your calendar. Invite your friends and family that may want to help. In an office environment we recommended to invite your staff to a team bonding day and make it a fun activity focusing on zero waste! 2.- Tackle one room at a time: Map out the areas that need most attention and focus on them one by one. Decluttering frees up space for new goals or endeavours. Donate : Find a local non-profit that will be happy to take those lightly used items. Remember that “one person’s trash is another’s treasure”. Recycle: plastic, paper, cardboard, metal. E-waste: Offices are filled with e-waste, printers, computers, cables, telephones, etc. E-waste needs to be dealt with safely and correctly in order to keep the environment from becoming contaminated. Call an e-waste removal company to help you deal with these items. A professional will know what to do and where to dispose of these items! Junkyard: You did a pretty good job at re-purposing what you could. What’s left isn’t too heavy, you brought your cost down by reducing the amount of waste going to the junkyard and you are leaving a smaller mark on our environment! 4.- Use a minimalist approach : Reconfigure your working or home space remembering the concept of “Less is more” . This approach helps you focus on the practical use of your space keeping only the essential. Congratulations, your space is clear and you reduced your environmental impact! Do I really Need it? or do I just Want it!